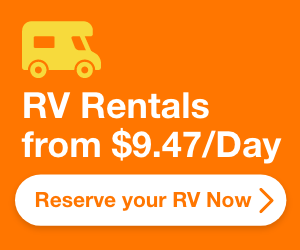 How Much Does it Cost to Rent an RV for a Week in 2019? Get the Best Deal! An RV vacation is a great way to explore new places and meet new people. With an RV, you get the freedom of a road trip, without the added costs of hotel/motel bills and restaurant charges. If you are on the lookout for an affordable family vacation, RVs could be just what you need. ​But owning and maintaining one is no easy task. They cost thousands of dollars and are not really worth it if you don't plan to go on frequent trips. Storage in the off-season can be a significant headache as well. ​For families and couples who want to try RVing once a year or so, RV rentals are the way to go. More and more folks are showing an interest in RV vacations, especially after the financial meltdown of ‘08. ​There are numerous options in the RV rental market, but this also represents considerable challenges if you want to plan your budget in advance. Check out our in-depth guide to figure out how much one week's worth of RV rental will cost you. These are just the main factors that affect the pricing. RV rental companies tend to set their own rates, and there are no strict pricing charts or standardization. A 10-year-old Class B RV might cost $80 per night at one place, and $100 at another. So the best we can do is give you a rough idea about the breakdown of costs for a week's worth of trip on a rented RV. Here are the different charges explained in detail, in the next couple of sections. ​RVs are usually rented out on a daily basis. If you plan on taking a more extended trip, you can also opt for weekly rates. The rates for the vehicle is entirely based on its Class/Size, and overall condition. Older vehicles tend to be cheaper than brand new ones, for obvious reasons. Peak season is summer, starting in the month of June, and extending into August. RV rental rates are highest in these months, and there is peak demand due to the holiday season. In the off seasons of fall and spring, you will find cheaper rates. As you can see larger motorhomes are significantly more expensive than smaller Class B or C motorhomes and trailers. ​If you want to travel in luxury in a motorhome, expect to spend anywhere from $1000 - $3000 per week on rental alone. The average figure would be at least $2000 in this class. 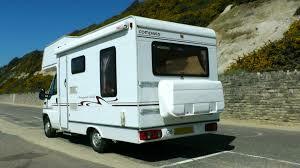 For smaller and midsized motorhomes, weekly rates add up to between $700 - $2500 or thereabouts. Expect an average cost of around $1500. Trailers can be had for anywhere between $350 - $1750, depending on the size and condition. For a decent option, you will have to spend around $1000 per week. ​Every company/owners have their own maximum daily mileage limit. Usually, this is between 100 to 150 miles per day. If your one week RV trip involves more than 1000 miles, you will undoubtedly have to pay extra. ​For each extra mile above the limit, you will be charged between 30 and 45 cents. So if you plan to travel 2000 miles in one week, the additional mileage charges will come to around $350 or more. There are two ways to pay this amount. You can either pay up front during the booking (prepaid) or pay when you return the RV. If you take the prepaid option, the company will usually return the charges for any unused miles. When RVing, you will be using the power hookups at campsites whenever possible. But in certain situations or when you are on the road, you will be forced to use the generator. Most often in summers, it is used to run the A/C. RV rental companies charge by the hour for the use of the generator. Typically, the rates fall around the $3.50 mark. Some operators may charge less, but in general, you should expect something close to the rates mentioned here. ​Now, generator usage is something we cannot predict or plan for in advance. Conservative estimates would put it around 3 hours per day, especially in hot southern weather. This would come to around $70 for a week-long trip. This is an entirely optional expense. If you don't plan to cook in your RV, you can skip this one entirely. You may also skip it by bringing your own kitchen equipment and utensils. If you’d rather pay the rental company to stock the kitchen with dishes, utensils, pots, and pans, they will charge you around $100. Some companies allow you to keep the set after the trip. Do note that the kitchen supplies do not usually include any food items or groceries. It is your responsibility to stock the kitchen if you plan to cook inside the RV. We will give a rough estimate of the grocery expenses in another section. If you book the RV months before the peak season, you might be able to get lower rates. The system works similar to airline tickets. If you try and book one day in advance in peak season, you will be charged higher rates (if you find an RV available, that is!). Booking charges are variable but tend to be around $200 - $300 or more. Most companies ask for a refundable security deposit, charged based on the class of the RV. A baseline figure would be $500. State Tax is usually factored into the quoted rental price of the RV. This concludes the charges you will end up paying to the RV rental company. During the trip, you will also end up incurring other expenses, which we will try to estimate in the next section. That last bit is entirely dependent on your choices and preferences, and pertain mainly to meals at restaurants, shopping, entry fees at amusement parks/national parks, and other local attractions. And we cannot reliably put down a number on that. But we can provide rough figures for the other expenses. As can be expected from a lumbering, heavy vehicle, your primary concern will be the money you end up paying at gas stations during your trip. Depending on the size of the RV, and the condition of its engine, you could get mileage between 6-12 miles per gallon. Do not expect anything more than 12 miles in the best conditions. As for gas prices, you know how it differs depending on the state. Current gas prices in 2018 average around $2.8 per gallon across the nation. So if you stick to the 2000 mile limit for the week, expect to pay around $700 for gas alone (at an average of 8 mpg). If you are committed to cooking meals in the RV, you can end with considerable savings with the right kind of planning. RV meals cost much cheaper than meals in any restaurant. ​There are numerous guides from seasoned RVers on planning your meals and grocery shopping during RV trips. The general consensus indicates that you can expect a weekly expense between $350-$500, depending on the number of people onboard. When you stay in RV parks and campgrounds, you will have to pay a variety of charges. These are highly variable, depending on the season, the type of campsite, etc. They usually charge for each evening you stay at the site. Many sites also have hookups for amenities like water, sewage, power, and WiFi. Depending on the availability of these services, the cost could be higher or lower. That being said, you will have to pay a bare minimum of $25-$30 per night, in basic rural campgrounds. In more premium locations with a full complement of features, the cost could be anywhere from $50 to $120. For convenience in our calculations, we will take $50 as the average for a seven day RV trip. That comes to $350, provided you stay at a campsite every night. ​Conclusion - How Much Does it Cost to Rent an RV for a Week? This is just a rough estimate of how much it would cost for a one week RV trip. You can shave at least a thousand bucks by opting for a smaller RV. And there are many, many ways to bring down the expenses as well. But this figure should give you a good idea of the costs involved in an RV rental trip. Click here to visit our recommended﻿ RV rental company to get a precise cost. Have fun RVing!